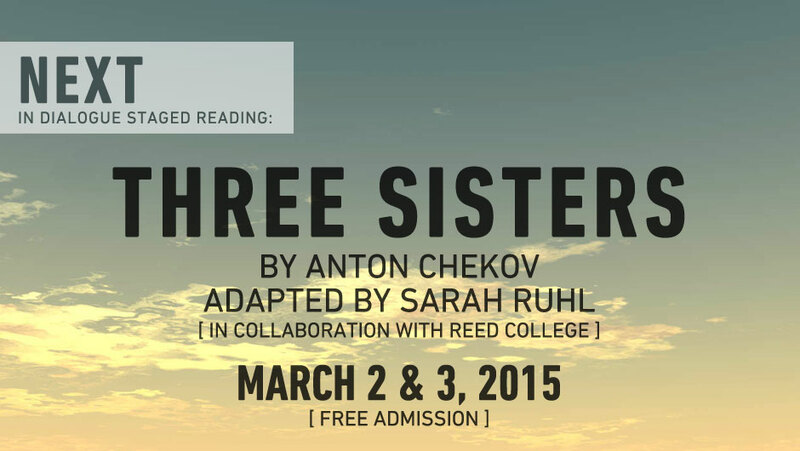 Join us for the In Dialogue Staged Reading of Sarah Ruhl's adaptation of the Chekov masterpiece Three Sisters. Tickets are FREE, but you need to reserve your tickets. Make your FREE Reservations Now!